Residents in Elk Grove will soon be living the aquatic life. The city just pumped $31 million into a new aquatic center, a project that is generating a lot of excitement throughout the community. 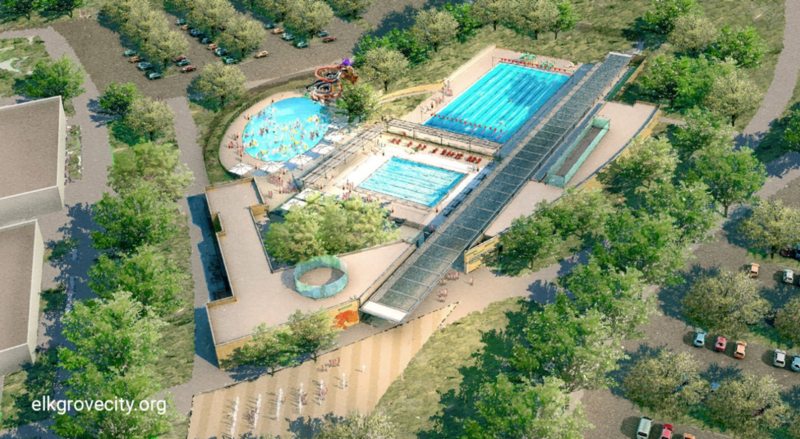 It will feature an Olympic pool, dive well, instructional and recreational pools and more. The addition of a second water wonderland means more families can enjoy summer-time and year-round water recreation. Currently, Elk Grove residents enjoy the Wackford Community and Aquatic Complex on Bruceville Road. In July, the Elk Grove City Council approved user fees for the under-construction facility, which will be situated on 20 acres of land near the planned Civic Center. Get a birds-eye view of the construction here. Rates include a $7 daily drop-in fee and $50 monthly membership fee. Younger children will pay less under the proposed fee structure. In addition to individual rates, the public will also be able to rent entire pools at an hourly rate. Fees vary from $125 to $350 per hour. Community members living nearby will enjoy discounted rates, per the agreement the City Council approved. A Nevada-based company, Arntz Builders, Inc., is taking lead on the construction of the project. We can’t wait until this project is complete!